Yesterday (5-2-2017) Apple (AAPL) reported Q1 earnings of $2.10 per share. It was one of those scenarios where earnings beat expectation, but guidance was weak, so the stock opened the next day down 1.49%. How close did that 1.49% on Wednesday match what the options market told you on Tuesday? So that means a bullish speculator (3 day options is definitely speculation, not investing!) believes AAPL will get to at least $150.41 by Friday. There are only two things at play between Tuesday and Friday — 1 is the earnings call (obviously) and 2 is the overall market volatility on Wednesday through Friday. So a speculator believes those 2 forces will equal a total move of 1.88% (the difference between 150.41 and 147.63). Now look at the way the options were trading on Wednesday morning. 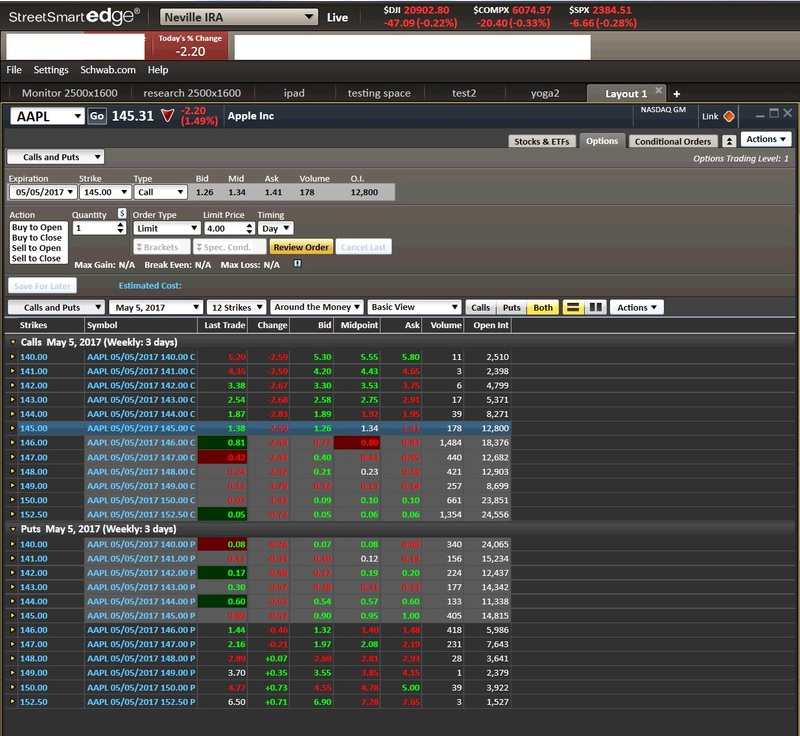 With the stock now at $145.31 a call for $146 on Friday expiration was trading at $0.80. Again this implies a break even price of $146.80, or a 1.02% move. The only thing from Wednesday to Friday is normal overall market volatility, so this tells you that Wed-Fri market vol accounts for 1.02%. Let’s do it now for the downside using at-the-money puts. The Tuesday $147 put cost $2.27 implying a break even price of $144.73 or a move down of 1.96%. On Wednesday the $145 put cost $1.34 implying break even at $143.66 or a move down of 0.92% between Wednesday and Friday. 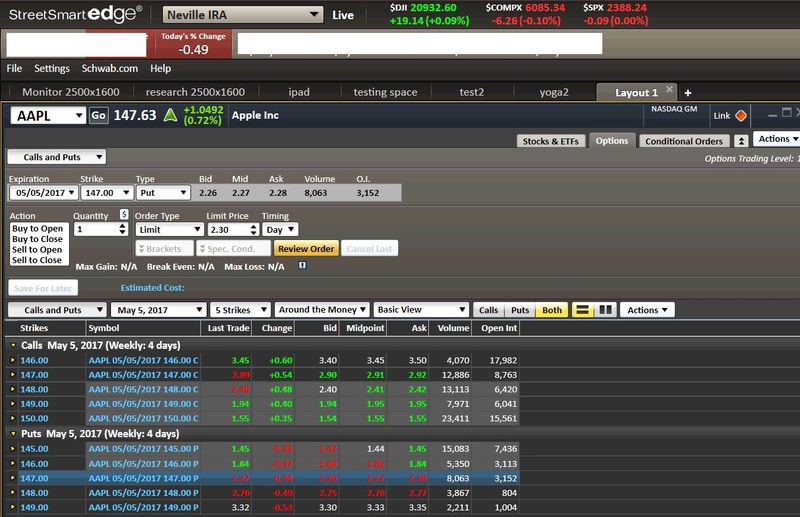 So the options told you to expect a 0.86% move up or a 1.04% move down in AAPL post-earnings. So really the options did an okay job of predicting the move. The predicted downside move was 1.04% and the actual was 1.49%. Kinda close, but not spot on.